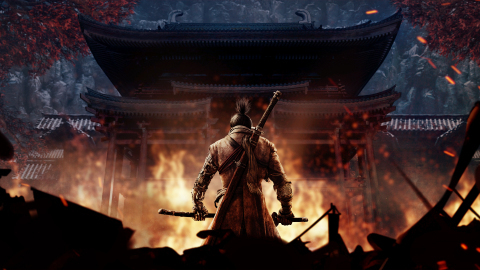 Sekiro: Shadows Die Twice Launches Globally – Death is Not Your Fate Just Yet! SANTA MONICA, Calif.--(BUSINESS WIRE)--Gamers worldwide will embark on an unforgettable journey that makes death an enemy and ally in the highly-anticipated videogame, Sekiro™: Shadows Die Twice. Directed by Hidetaka Miyazaki of FromSoftware (Dark Souls and Bloodborne), Sekiro: Shadows Die Twice launches today as an epic adventure that introduces players to a beautifully dark world filled with brutal enemies, intense sword combat, and engrossing vertical exploration! The game is now available on PlayStation®4; PlayStation®4 Pro; the family of Xbox One devices from Microsoft, including the Xbox One X; and PC via Steam. 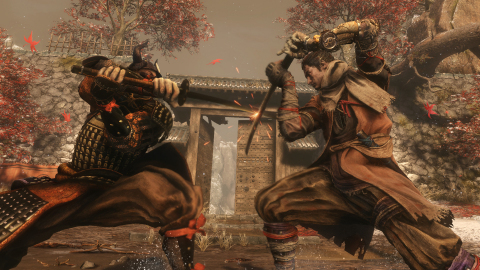 Published by Activision*, a wholly owned subsidiary of Activision Blizzard, Inc. (NASDAQ: ATVI), Sekiro: Shadows Die Twice keeps true to FromSoftware’s legacy of challenging yet rewarding gameplay, and offers unique combat that emphasizes patience, technique and creativity. Players will learn to embrace the posture system, which focuses on deflecting attacks, while simultaneously being defensive and aggressive. Resurrection gives the opportunity for either tactical retreat or enemy deception to go on the counter-offensive. The shinobi prosthetic, which can be outfitted with a variety of attachments such as the grappling hook, loaded axe, and flame vent, brings an entirely new dimension to the gameplay as it enables players to exploit enemy weaknesses. Sekiro: Shadows Die Twice is available for the suggested retail price of $59.99. For more information, please visit www.SekiroTheGame.com and follow @SekiroTheGame on Twitter, Instagram, and Facebook. © 2019 FromSoftware, Inc. Published and distributed by Activision. ACTIVISION is a trademark of Activision Publishing, Inc. All other trademarks and trade names are the property of their respective owners. Sekiro: Shadows Die Twice videogame launches today!